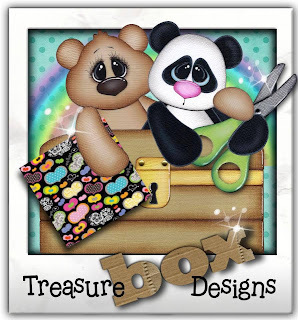 This week the challenge is "Anything Goes" and we are sponsored by Teasure box designs who are giving the winner 5 files of thier choice. I have wanted to have a go at making one of those toilet roll books for ages and since we get though mountains ( sorry if that's too much info! ), and after seeing one in a recent magazine,I though it was about time. I ran the empty rolls though my bigshot machine to make sure they were lovely and flat and just wrapped some patterned paper around them. I made some paper lace to decorate the edges and some tags to go inside each roll. ... and had fun decorating the pages with scraps of paper and stickers. I have not put any photos inside as it is a gift. I used my Gorgeous spellbinder gold dies for the decoration on the front cover and added a really old k and co sticker. I made a couple of die cut flowers and cut out a butterly. I added small amounts of ribbon to the book rings and tags. All done - Please do pop over to the Main Blog to so what gorgeous creations the rest of the DT have done. This is absolutely magnificent, Sue! Gorgeous!! You are so creative, and I love how you always do different types of projects. All of the details are fab.